Need to hang drapes that weigh hundreds of pounds? Have a cable swag that weighs 200 pounds? Why break out the chain hoist to tackle those jobs? 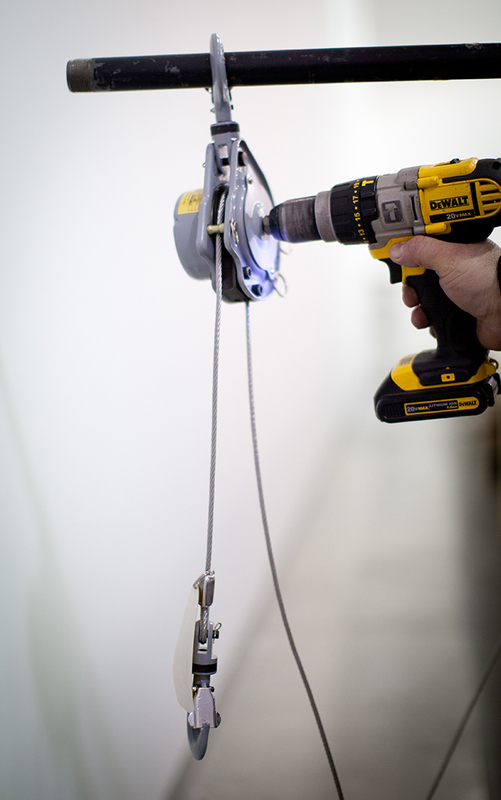 The Pulley Man weighs only 5 pounds, and not only can you throw in your toolbox for easy transport, but you can operate it with your drill. This ingenious hoist is rated up to 600 lbs. straight or 1,200 lbs double-reeved for entertainment environments. 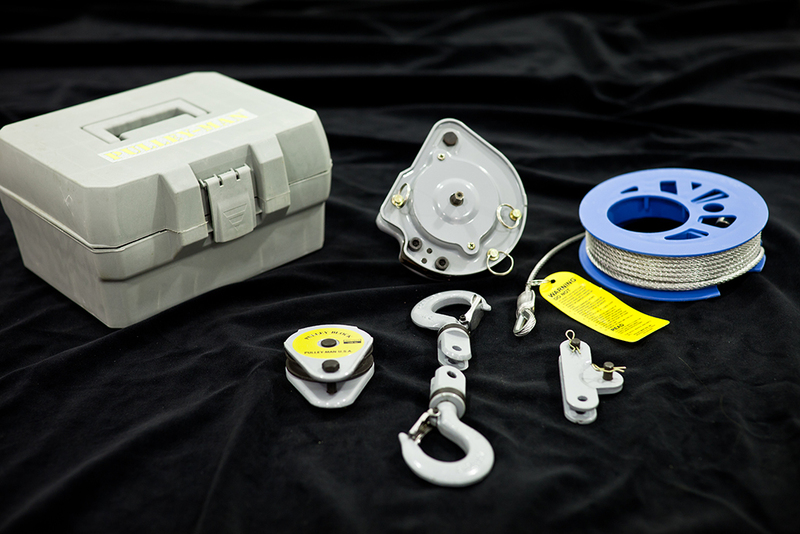 The Pulley Man comes with 30 feet of included cable. 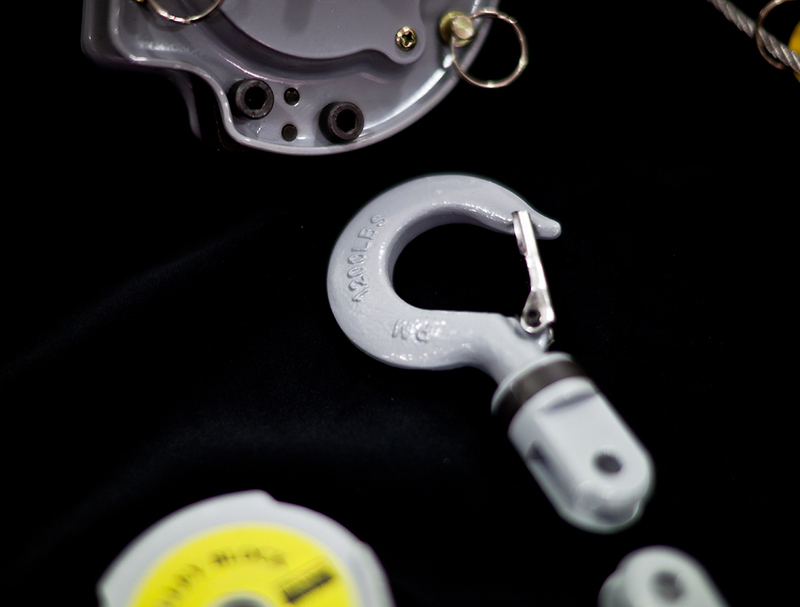 However, you can put your own cable of any length on the Pulley Man, easily extending the lifting height. You can use the Pulley Man to move truss, pull a heavy wagon across the stage, or even pull that big fish into your boat. You can use it for a million things, but we sell it to install heavy curtains. And at $460 MSRP, the Pulley Man is a bargain. Contact us for more information.